It was Belgium's own War of the Worlds moment. 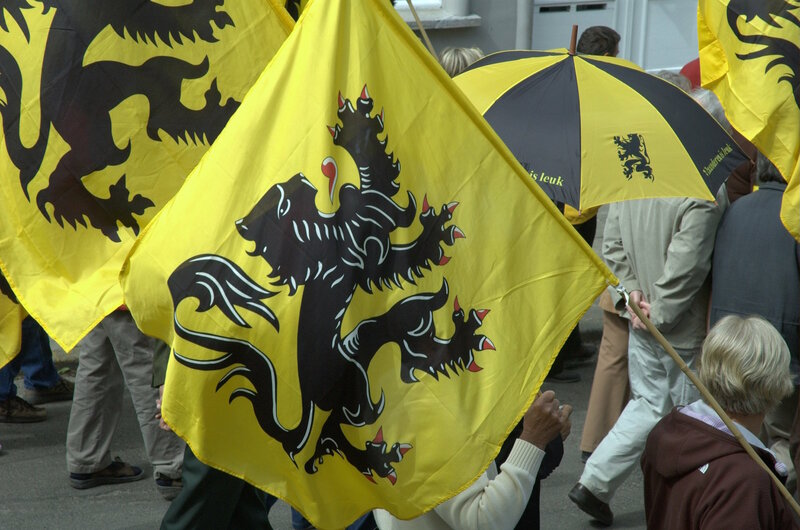 Ten years ago on Tuesday (13 December), Belgian state television aired a fake documentary that reported the secession of the Flemish region from Belgium. Just like the 1938 simulated news bulletins that were part of the radio adaptation of HG Wells' novel about a Martian invasion, the Belgian programme had many people believing the portrayed events were real. In particular French-speaking Belgians fell for it, given that the programme, Bye Bye Belgium, was aired on the French-speaking national broadcaster RTBF. The station received more than 30,000 calls from concerned viewers, who thought that the reported declaration of independence in the Flemish parliament, and the Belgian king fleeing the country, had actually happened. The show began with the statement "this may not be a fiction", but that evidently eluded many viewers. Half an hour into the show, the concerned responses prompted the broadcaster to add a more unambiguous disclaimer, saying it was a work of fiction. Several high-ranking Belgian politicians called the RTBF “irresponsible”, and even current president of the European Commission, Jean-Claude Juncker was angry. 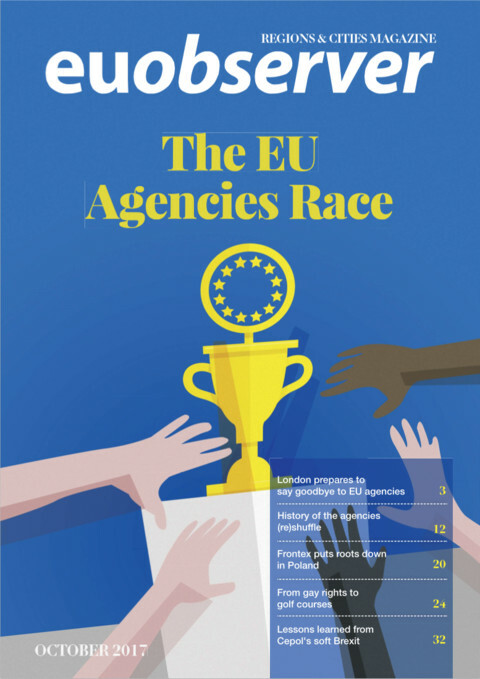 Juncker, who was then prime minister of neighbouring Luxembourg, said at the time that the show's topic “was not the kind of issue you play around with”, according to the Associated Press news agency. The show struck a nerve and rekindled an existential fear in parts of the French-speaking side of the country. That fear was not irrational at the time: a survey among 1,300 Flemish published eight months later said that some 45.8 percent wanted Flanders to declare independence. A decade on, however, the scenario of Flanders unilaterally seceding from the Belgian federation, is dismissed even by those Flemish politicians who want an independent Flanders. “This is not the scenario we want, and this is not how it will happen,” said Mark Demesmaeker in an interview with EUobserver earlier this year. Demesmaeker is a member of the European Parliament for the Nieuw-Vlaamse Alliantie (New Flemish Alliance, N-VA). He helped Bye Bye Belgium look more realistic by appearing in the fake documentary. “It was a lot of fun to cooperate, but in the end this was a persiflage, a caricature,” said Demesmaeker. “It was really a pure fiction,” agreed Tom Van Grieken, leader of rival nationalist party Vlaams Belang (Flemish Interest). “If Flanders becomes independent, then it will not be a violent revolution with protests and trains that are stopped at the border,” he told this website. The two parties represent in principle the same goal – an independent or autonomous Flanders – but in practice have taken two different routes. Flemish Interest is a far-right anti-Islam, anti-EU party - a reboot of the Flemish Bloc party, which was convicted of racism in 2004. 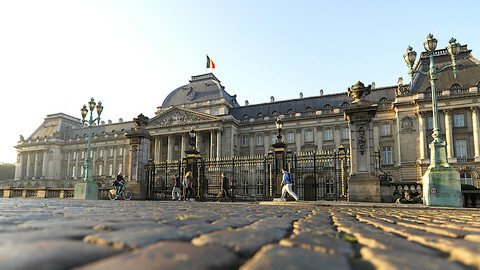 It has three seats of 150 in the Belgian federal Lower House, and six of 124 seats in the Flemish parliament. It is something of a pariah in Belgian politics, whose other parties have for years had an implicit agreement that the Flemish Bloc/Interest would not be included in any coalition talks. The N-VA, by contrast, has grown to become Belgium's biggest party, having won 33 of 150 seats in the federal parliament in the 2014 elections. In the Flemish parliament, it is even bigger with 43 of 124 seats. Belgian prime minister Charles Michel is leading a centre-right coalition government which has the N-VA as its biggest party. It consists of three Flemish parties and one French-speakers' party: Michel's Liberals. 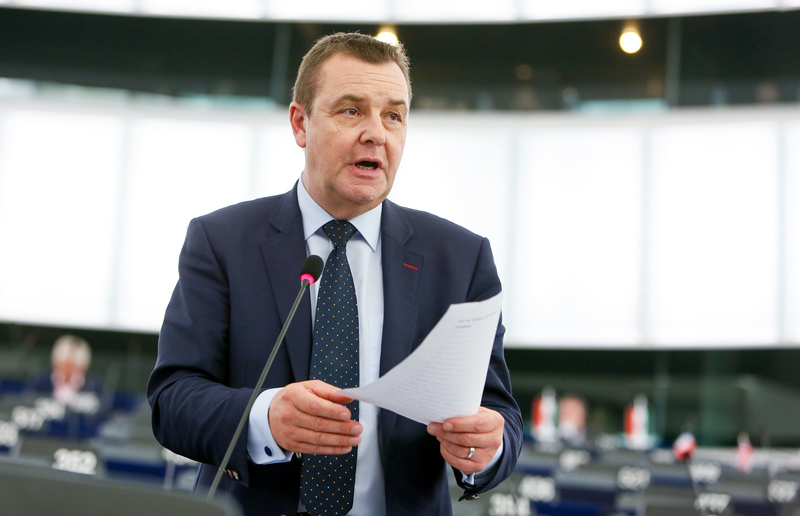 According to MEP Demesmaeker, the N-VA's membership of the coalition has achieved that Flemish Belgians feel more represented in the national government. 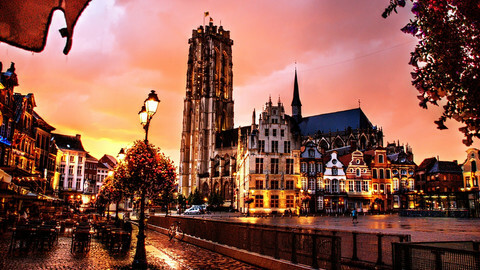 The Flemish region has around 55 percent of the Belgian population, while around 32 percent of Belgians live in Wallonia, and the rest in Brussels. On average, Flemish people levitate more towards the right-wing of the political spectrum, compared to their French-speaking counterparts. 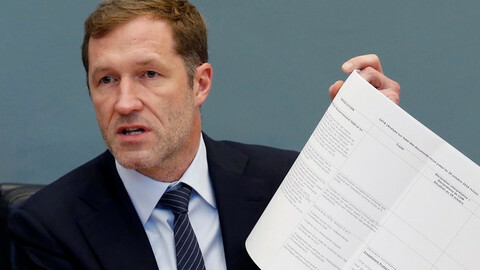 Demesmaeker noted that for the first time since 1988 the French socialist party is not part of the federal government. “The socialist party dominates in Wallonia. But the majority in Flanders votes more centrist and centre-right. They want an economically more liberal, business-friendly policy,” said Demesmaeker. With a centre-right government, in place since 2014, Demesmaeker argued that Flemish citizens are better represented at the federal level. But far right Flemish parliamentarian Tom Van Grieken said that all issues are “communitarian”, i.e. relating to whether the regional or federal level of government decides. His party blames the N-VA for having put the debate about moving powers to the regional level on ice. “That is the price they paid to be in power,” Van Grieken said about the N-VA, which agreed in a coalition deal to put off any constitutional reform until after the next elections of 2019. So far, the Flemish electorate seems to agree with that approach. A survey by the university of Leuven asked which three themes were most important to Flemish voters. In 2007, some 13.3 percent named devolution of powers as one of the three most important themes. In 2010, it was mentioned by 19.7 respondents, but by 2014 that figure had dropped to 5.7 percent. The economy, job creation, and education have become more important issues. More recently, after the terrorist attacks in Brussels last March, security issues have joined that list. Belgium received a lot of flak for having made crucial mistakes in the run-up to the attacks, part of which were blamed on poor communication between different governmental levels. But the multiple levels of government can also lead to a lack of coherence in a policy field like energy, which is shared by the regional and federal governments. 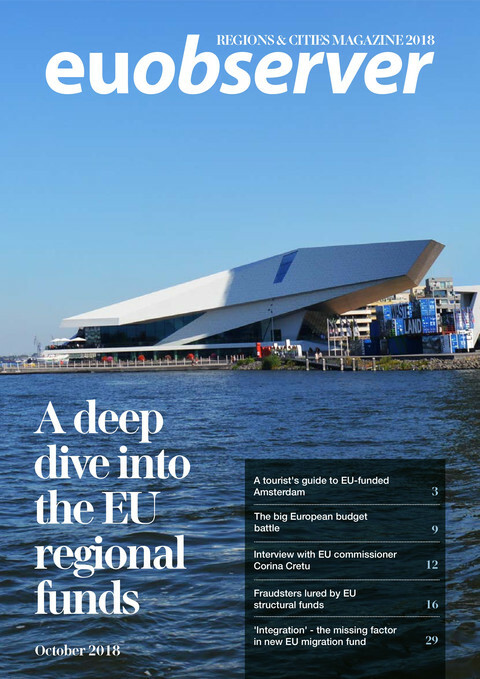 Businesses can receive conflicting messages about where to invest, with the Flemish regional government promoting renewable energy, while the federal government has changed its mind several times over whether to extend the life of its nuclear plants. 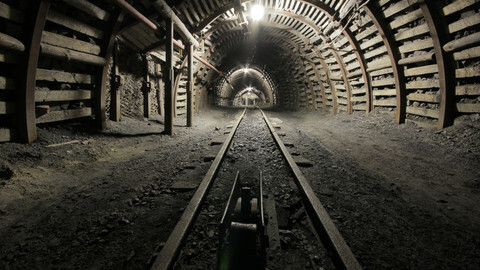 More recently, the divide between Flemish and French-speaking interests were highlighted by the attempts by the Walloon government to stall an EU trade agreement with Canada. Put simplified, the Flemish saw the trade deal as an opportunity to sell products to Canada, while the French-speaking Belgians saw a threat to their jobs and standards. That different way of looking at political issues is also reflected in the media. Belgium effectively does not have a common public debate, just as it does not have any federal parties representing both sides of the linguistic divide. The two sides have a completely different cultural life. According to MEP Demesmaeker this was illustrated perfectly by the panic caused by the fake documentary on the French-speaking broadcaster. 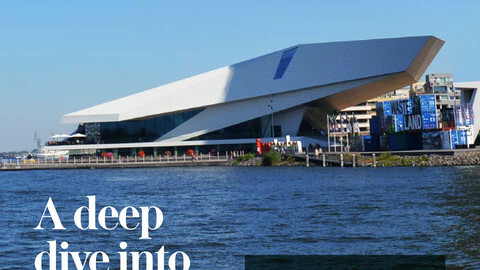 “That programme showed that Belgium is two countries, and two democracies,” said Demesmaeker. “If you really live in one country, what would you do when you see that on television? You would have switched to another channel,” he said. If the viewers had checked the Flemish networks, they would have seen that all was well. There, football was on. In a press conference designed to restore his country's image two weeks after the attacks, Charles Michel said that security is efficient and that Brussels is a welcoming place. 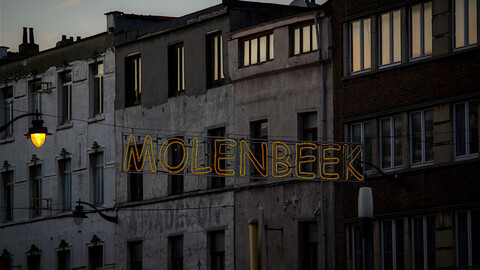 The mayor of Molenbeek, the Brussels district made infamous for sheltering terrorists, is targeting delinquency and petty crime in her effort to stamp out extremism.